Kandao Technology Co. Ltd focuses on virtual reality technology research and development, providing patented end-to-end solutions for virtual reality video capturing and live streaming. As the only Chinese company capable of live streaming 3D high resolution panoramic video, we provide a complete and competent suite of products to bring virtual reality experience to a wide range of users. Kandao Technology’s founders and core team members come from top universities all around the world such as the University of Hong Kong, Tsinghua University, Hong Kong University of Science and Technology, National University of Singapore and University of California, San Diego, with backgrounds in leading technology institutions such as Huawei, Tencent, Netease, CLP and other well-known enterprises. With strong research, development, and operational capabilities, Kandao sets a high international standard in the industry of panoramic virtual reality video making.!!! 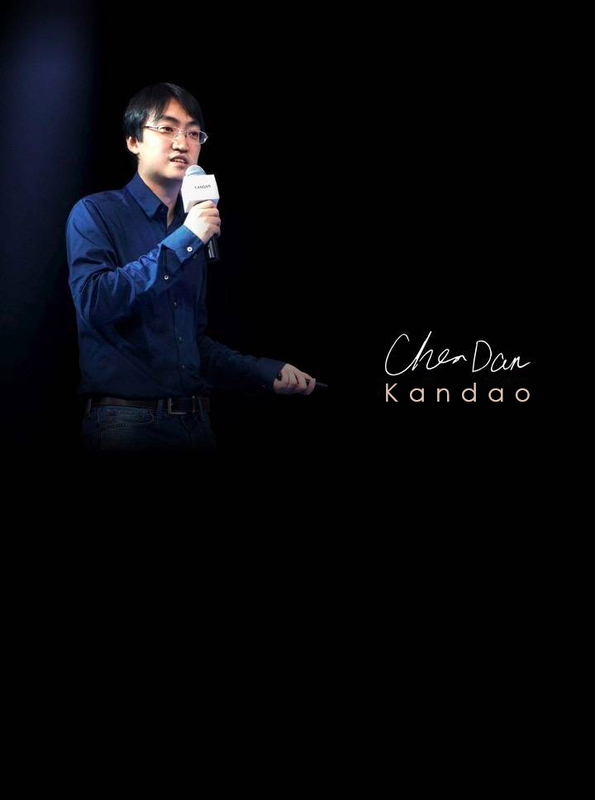 Kandao Technology’s founders and core team members come from top universities all around the world such as the University of Hong Kong, Tsinghua University, Hong Kong University of Science and Technology, National University of Singapore and University of California, San Diego, with backgrounds in leading technology institutions such as Huawei, Tencent, Netease, CLP and other well-known enterprises. With strong research, development, and operational capabilities, Kandao sets a high international standard in the industry of panoramic virtual reality video making. Awarded by the Design Zentrum Nordrhein Westfalen in Essen, Germany, the Red Dot Award is one of the world’s largest design competitions since 1955. The Red Dot jury awards the internationally recognised seal of quality only to products that win them over with their high design quality. The Edison Awards has been recognizing and honoring the best in innovations and innovators since 1987. Dedicated to fostering future innovators, it honors game-changing innovations that are at the forefront of new product and service development, marketing and human-centered design, and are one of the highest accolades a company can receive in the name of successful innovation. Established in 1953, the iF Design Awards is recognized as one of the most respected awards within the field of design. Each year, only those with outstanding design and quality within the marketplace can set themselves apart from the competition and be awarded with an iF award. Kandao Obsidian and QooCam won over 6,400 entries from 54 countries and received prestigious 2018 iF Design Awards, which shows their high level of performance and proven design quality. The German Design Award is one of the most prestigious design competitions in the world. Every year, only a select few products who are already recognized worldwide with high design and quality standard are eligible for nomination by the German Design Council. The “winner” title is an award of excellence bestowed only on entries chosen by the jury from within each category. As a global consumer electronics and consumer technology tradeshow, CES has served as the proving ground for innovators and breakthrough technologies for 50 years — the global stage where next-generation innovations are introduced to the marketplace. To honor consumer technology manufacturers and developers outstanding design and engineering in consumer electronics products, CES Innovation Awards is set up annually and only the products with great performance and design can become the winners among the fierce competition. Recipients of the CES Best of Innovation Awards are viewed as trendsetters in the global technology industry. The digital imaging category has previously been dominated by top international brands such as Sony and Nikon. The Kandao Obsidian 3D VR Camera beat out fierce international competition and became the first Chinese brand product to win this award. 2016 Canton Tower Science&Technology Conference-Global Mobile Developers Conference &Internet Leaders Forum, is hosted by International Data Group, the world’s largest company for information technology publishing, research, convention and exhibition and venture investment, and Guangzhou Science Technology and Innovation Commission, and organized by IDG World Expo subordinated to International Data Group(IDG).